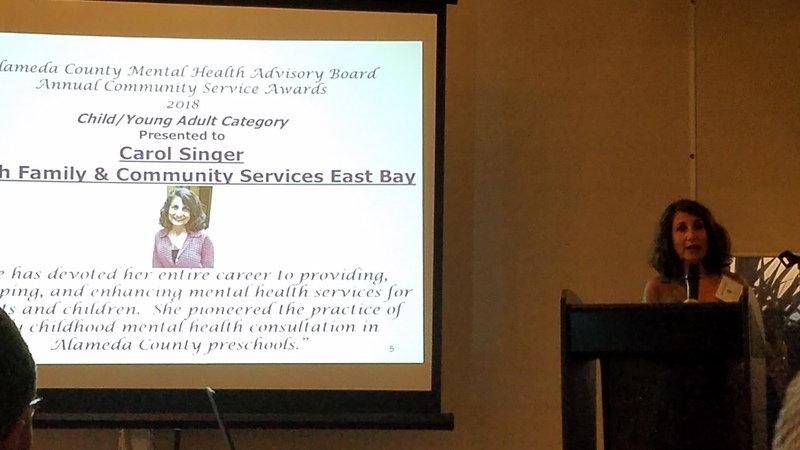 Last night, our Director of Clinical Services, Carol Singer, LCSW, received a Community Service Award from the Alameda County Mental Health Advisory Board, honoring her longtime service and commitment to our community’s vulnerable children. Below, you’ll find the text of the nomination application that led to Carol being selected for this honor. 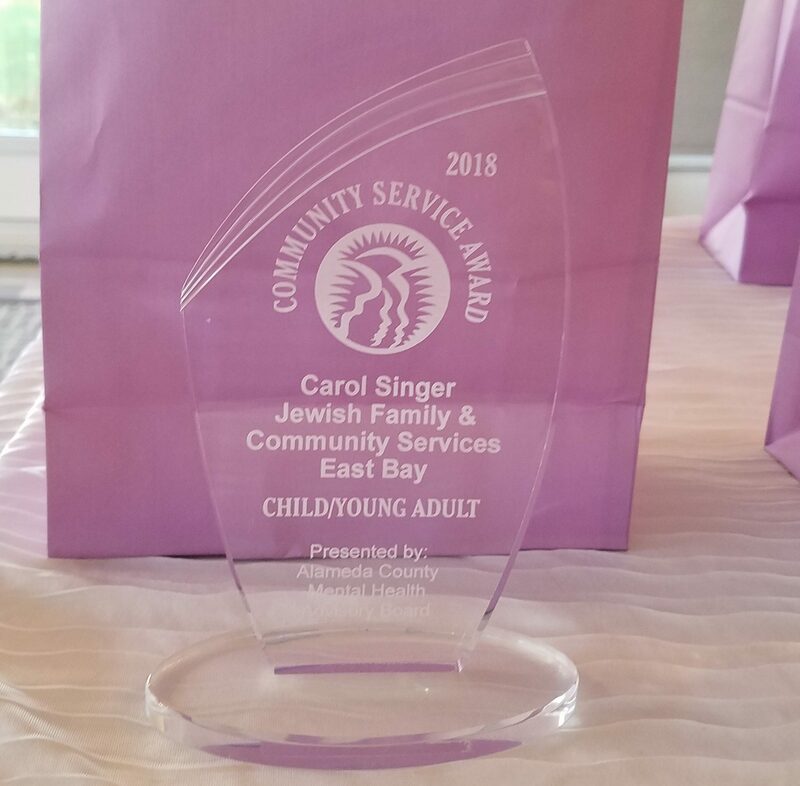 Carol Singer, LCSW, Director of Clinical Services at Jewish Family & Community Services East Bay, has devoted her entire career to providing, developing, and enhancing mental health services for infants and children. Carol joined JFCS East Bay in 2001 and grew the agency’s small program for children zero to five into a comprehensive suite of services that now impacts thousands of low-income children in Alameda County each year. In collaboration with First 5 Alameda County (then Every Child Counts), Carol pioneered the practice of early childhood mental health consultation in Alameda County preschools. 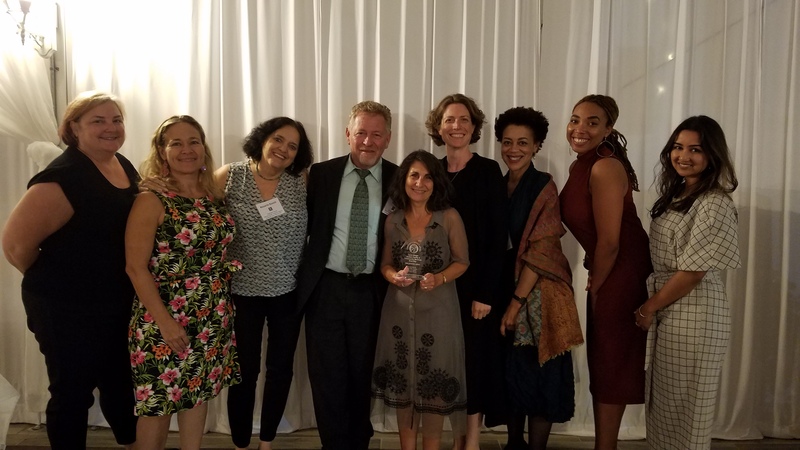 This model of service has now been widely recognized, securing extensive funding over the years from First 5 Alameda County, Oakland Fund for Children and Youth, and Alameda County Behavioral Health Care Services and has expanded to multiple other nonprofit providers. Currently serving a total of thirty-one preschools, JFCS East Bay is the primary provider of mental health consultation to the Oakland Unified School District and also serves Oakland Head Start and YMCA of the Bay Area Head Start sites, as well as independent sites in various parts of the county. 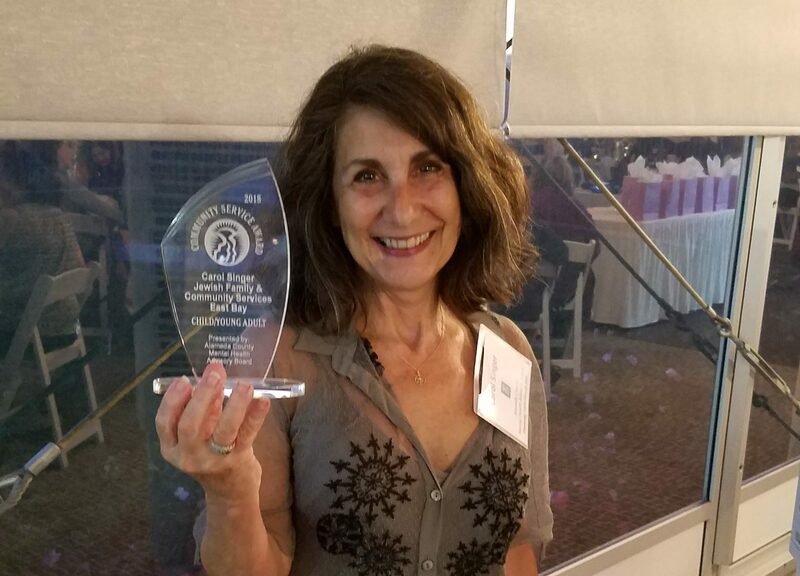 In addition, Carol developed and significantly expanded JFCS East Bay’s program providing high-quality, home-based, violence-focused therapy and case management services funded through the agency’s Medi-Cal contract with Alameda County Behavioral Health Care Services. Carol has also brought innovative models of service to JFCS Bay’s programs, including Fussy Baby Consultation and the Circle of Security curriculum. In addition to developing and overseeing JFCS East Bay’s direct services for children and parents, Carol has long been an active participant in community efforts to establish a coordinated system of care in early childhood mental health in Alameda County and has served on many related committees, including the Alameda County Child Care Planning Council, the Early Connections Strategic Planning committee, the Mental Health Integration Planning Committee for OUSD, the zero to five strategic planning task force for OFCY, the Alameda County Children’s Advisory Committee, the Alameda Early Childhood Policy Committee, and the Oakland Starting Smart and Strong Initiative. She helped develop the Standards of Practice for Mental Health Consultation to preschools and the Community Functioning Evaluation utilized by Medi-Cal providers for children zero to five. Carol has an MSW from the UC Berkeley School of Social Work and holds a California Pupil Personnel Credential. She received training from the Harris Early Childhood Mental Health Training Program, the Child Trauma Training Institute, and First 5 Alameda County. Carol has had a deep impact on how services in this county have been delivered and improved over the past seventeen years. She is an advocate, a dedicated service provider, and a thought leader in serving young children in Alameda County.